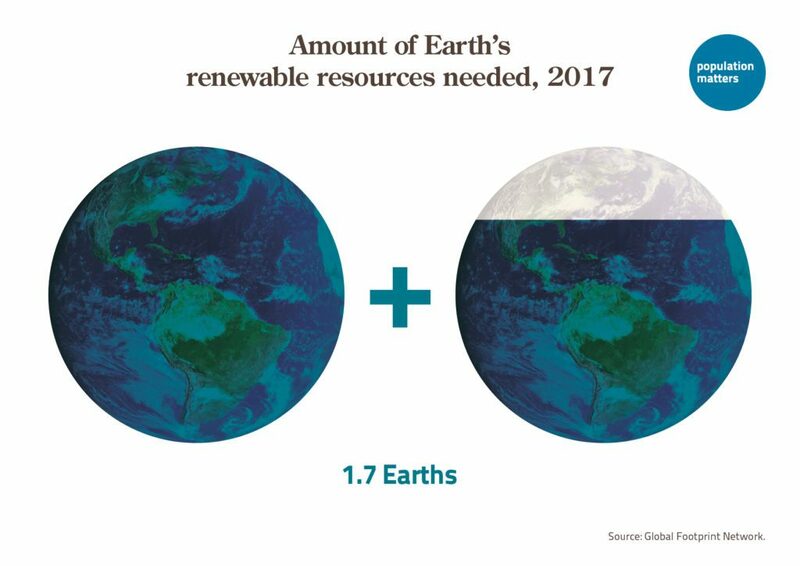 Human population growth has been enabled by our robust supply of energy that fuels a prodigious amount of resource extraction and waste production. Humanity consumes resources and emits wastes faster than the earth can renew or absorb them each year. 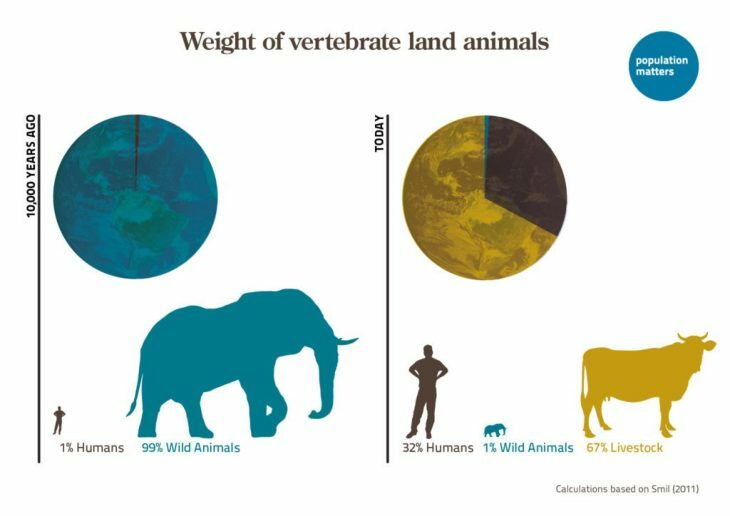 We would need an earth 70% larger to manage the carrying capacity for almost 8 billion people. 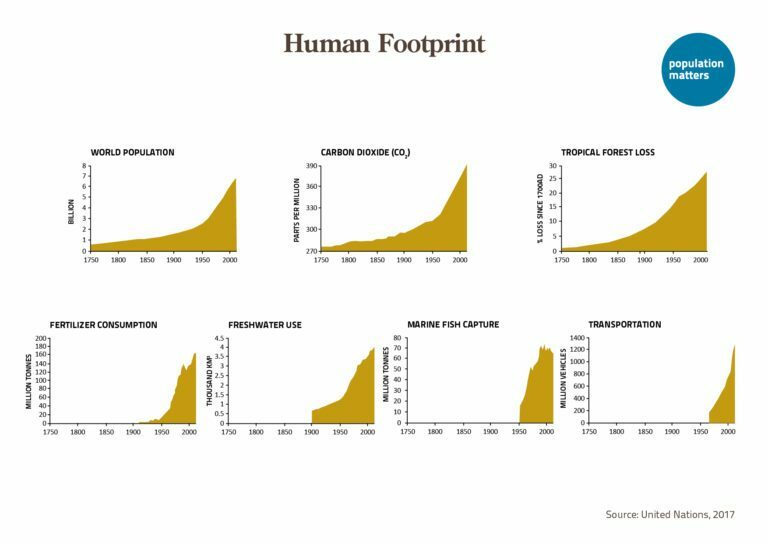 Humanity has become so effective at countering disease outbreaks, fluctuating food and water supplies, and nature’s attempts at controlling our rising numbers that we have exploded across the globe. In the process, we have eradicated much of the wild plant and animal life that once inhabited our lands. 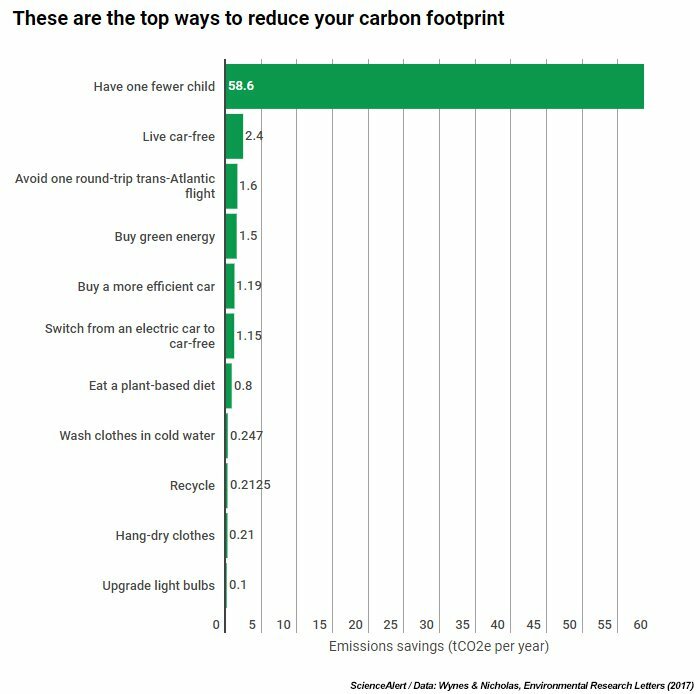 There are numerous ways to reduce our human carbon footprint. The most powerful personal green strategy, by far, is adopting a small family ethic. The most effective national and global green strategy is promoting small families. In addition, these are also the most cost-effective carbon offsetting strategy. There are many governments that have done marvelous jobs at reducing their populations through intentional campaigns to promote small families in a human rights context and voluntarily. Addressing population is a win-win proposition for countries. 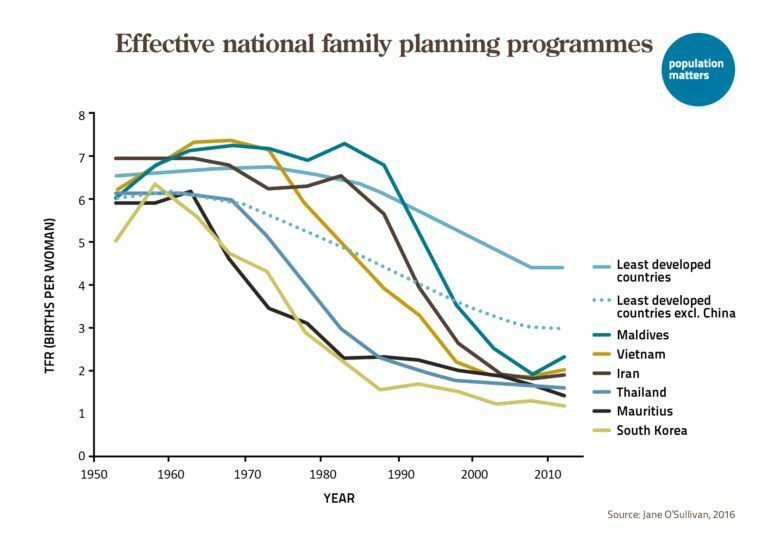 When fertility rates decline, maternal and child health improve. Food security increases. Poverty decreases. Savings and investments increase. Education and economic opportunities expand and nature and the environment actually begin to heal and flourish.